Lightroom Classic Tutorials > Organizing Photos > Import > Should I convert to DNG? DNG is a well worn debate on many photography forums on the web, and there’s no right or wrong answer, but there are a few pros and cons to consider when weighing your personal decision. The DNG format is openly and completely documented, which means that it should be supported indefinitely, whereas proprietary formats such as CR2, NEF, RAF, etc., aren’t. The question is, will you be able to find a raw converter in 20 years time that will convert your camera’s proprietary format when that camera model is ancient history? Some of Kodak’s early digital formats are already unsupported by Kodak themselves, so how long will it be before other formats start to go the same way? It may not be an issue at the moment, but do you want to have to keep checking your old file formats to make sure they’re still supported? Although DNG is Adobe’s baby, there are a long list of other companies supporting it, including Apple, Corel, Extensis, Hasselblad, Leica, Pentax, Ricoh and Samsung, to name a few. It’s also been submitted to the ISO to become an ISO Standard, just like Adobe’s PDF format many years ago, so it should be here to stay. In addition to storing metadata in your Lightroom catalog, it’s also possible to write that data back to the files in a header section called XMP. Because proprietary raw formats are largely undocumented, it’s not safe to write most data back to those original files, so it has to be written to a sidecar file instead. DNG files can safely have that information stored within the DNG wrapper, like JPEG, TIFF and other documented file types. The question is, do you find sidecar files to be a pro or con? If you use an online backup service, embedding that metadata instead of using sidecars could be a disadvantage. The whole file may need uploading again each time you choose to update the embedded metadata, whereas tiny sidecar files would upload quickly. On the other hand, sidecar files can easily become separated from their raw files. All of your data is stored in the catalog, so you don’t have to write to the files, but it might be a factor in your DNG decision if you do choose to use XMP. If you select the DNG format, along with that XMP data in the DNG wrapper, there’s an embedded preview. You’re in control—you choose how big you want that preview to be, and you can update it to show the Develop adjustments you make in Lightroom. That means that other programs that rely on the embedded preview will be looking at your processed image preview rather than the original camera preview. Updating that preview doesn’t touch the original raw data, so it’s a nondestructive way of updating the photos to look their best. New to Lightroom 4 is a Fast Load Preview for DNG files. It stores partially processed data, like the Camera Raw Cache data which we’ll come to in the Previews & Speed chapter. 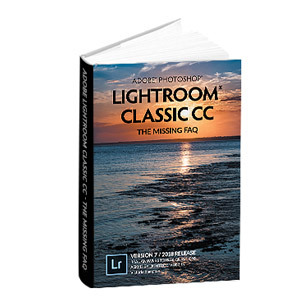 It allows compatible programs, such as Lightroom 4, to show you a preview more quickly than a proprietary raw file or a DNG file without Fast Load data. The difference is more noticeable on large files or those with complex initial processing, such as DNG Opcodes. Although a recent addition, Fast Load data doesn’t affect backwards compatibility and only increases the file size slightly. Also added in Lightroom 3.6 was multi-core reading for Tiled DNG images. A Tiled DNG is the same data, but arranged in strips instead of one long string. It means that different threads or processors can all be working on decompressing the file at the same time, resulting in a faster load time. ACR and Lightroom have been creating Tiled DNG files for a long time, however if you have a camera that shoots DNG natively, you can update those to Tiled DNG files to take advantage of the new performance improvements. The DNG lossless compression algorithms are better than those applied by many cameras, so DNG files are usually 10-40% smaller than their original proprietary format, depending on the camera, the amount of noise or detail in the photo, and on the size of the preview that you choose to embed. Although hard drives may be comparatively cheap now, they’re not free, so space savings may still be a benefit. If the file’s seriously corrupted, it often won’t convert, and instead will warn you of the corruption, so you can download the file again before you reformat the cards. It’s not infallible, and it’s not a replacement for a visual check, but it is an additional check worth considering. One of the best features is the DNG Hash, which is written into files created by Lightroom 1.4.1, ACR 4.4.1, and DNG Converter 4.4.1 or later. The DNG Hash allows you to validate that the image data itself hasn’t changed since the DNG file was created. Very few programs can currently check that DNG Hash, but the technology is moving forward rapidly, and any DNG files created now will be able to make use of that validation in the future. Lightroom checks the file hash when it loads a photo into the Develop module. Until the main camera manufacturers start supporting the DNG format, their own software will not read a DNG file. Support from other raw processors also varies. Some raw processors say they support DNG but treat DNG files as second-class citizens, with lower quality results. All of the information is available for full support, but it’s up to each company to implement it. So, if you use other raw processing software regularly, that may prevent you from using DNG. If you only use it occasionally, keeping one of your backup copies as the proprietary format for those occasions, is another option. Never heard of MakerNotes? Then you probably won’t care. All of the important data is carried over into the DNG file, but some camera manufacturers also put some secret data in their files. There is DNG support for MakerNotes, however some manufacturers don’t stick to the rules, and therefore MakerNotes embedded in an undocumented format can’t always be carried over completely to the DNG file. If you shoot CR2 or NEF, as well as a few other formats, all of the data is copied to the correct place in the DNG file, even if Adobe doesn’t understand it. In order to open files from the latest cameras newly introduced to the market, you have to be running the latest version of Photoshop/ACR or Lightroom. If you buy a new camera, but choose not to upgrade Photoshop or Lightroom to the latest release at the same time, converting the raw files to DNG using the latest free standalone DNG Converter allows you to open those files with your older versions. The DNG Converter may need to be updated before it will convert the latest camera’s files, and you’ll need to make sure that the compatibility is set to a version that Photoshop or Lightroom can understand. If your camera doesn’t natively create DNG files, the conversion would add an additional step to your workflow unless you convert at the time of import. You may also decide to back up the proprietary raw file in addition to the DNG files, so you’d need to consider how that would fit into your workflow. We’ll come back to possible DNG workflows in the Designing your Workflow chapter. So should you convert to DNG? Only you can decide whether it’s right for you. I am not a DNG user, but I think I will consider it now and try some time. Thanks for a wonderful series of information you have shared. you never elaborated on what the differences were… Any answers by now? Oooops, so I did. It was a copy and paste from my book. A Lossy DNG is demosaiced at the time of conversion and JPEG compression is applied. The pixel count can also be reduced at the same time. It’s important to understand that a lossy DNG is no longer a traditional raw file as it’s been partially processed (like a linear DNG), but it’s not a rendered file like a TIFF or JPEG either. It’s a hybrid. It’s a much smaller file which still behaves like a traditional raw file in Lightroom. In some situations, that may be the best of both worlds, but I wouldn’t recommend converting your prized originals to Lossy DNG. It’s more of a workflow tool. My main work is with an off-line desktop PC running Windows XP and CS5 (I have a Windows 8.1 laptop for my new venture into Lightroom but still only Photoshop CS5). The last DNG for Windows XP was v 8.3 that is fortunately also the first version to support my new Nikon D610 whose NEF files are not recognised in the last version of ACR for CS5. Also RW2 raw files from a Lumix FZ200 have to be converted, so both types are uploaded to a folder to which the DNG converter is permanently pointed and the converted files then moved elsewhere and the original raw files deleted. Wow, I haven’t met anyone running XP for a long time! One con to add. Some photo competitions require that you can provide the original RAW file to prove the picture is not manipulated, and they don’t approve DNG in this case. So you need to keep your RAW file to be able to be in such a competition. That’s very true, although we really should educate the competition judges… they could very easily see that a DNG file hasn’t been edited by checking it’s mosaic data rather than linear DNG. No, there isn’t a delete option, sorry Steven. You could probably find other software (something like Hazel on a Mac) to automatically delete the files, but if you were going to do that, you’d probably be better off upgrading to Lightroom 6 (assuming you don’t want a CC subscription). It’s only a $79 upgrade, and all those small bits of time add up over the lifetime of a camera. 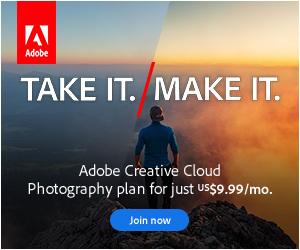 I have a Nikon D7100 and am in my second year of the Adobe Photography Plan. My first Lightroom was version 3. I am currently using Adobe DNG but having difficulty because I find it is somewhat lacking in support. I must say that your CC book is quite amazing and have looked through the table of contents and seen the support of jpg – but how is it on DNG? More importantly how do I get started with you? I use LR Classic. I convert my Nikon .NEF files to .DNG files because they are a little smaller in size. Recently when I try to convert my files, LR will not convert the files. The converting action starts but very quickly stops and no files get converted. Is this a problem with the latest version, 8.0, of LR ?